This introduction to Martin Luther's sacramental theology addresses a central question in the life of the church and in ecumenical dialogue. Although Luther famously reduced the sacraments from seven to two (baptism and the Lord's Supper), he didn't completely dismiss the others. Instead, he positively recast them as practices in the church. This book explores the medieval church's understanding of the seven sacraments and the Protestant rationale for keeping or eliminating each sacrament. 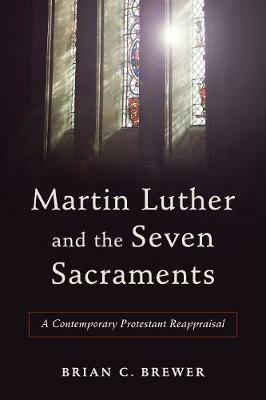 It also explores implications for contemporary theology and worship, helping Protestants imagine ways of reclaiming lost benefits of the seven sacraments.